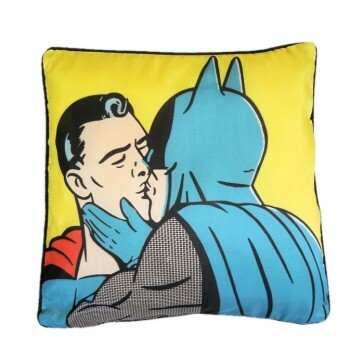 Ever Questioned the sexuality of your favourite superheros? Batman and Superman seize the moment, blissfully unaware that they'd end up as a cushion! PC or not so PC, this beautiful bright cushion will not only make a massive statement in your living room, but will be a talking point for many moons to come.